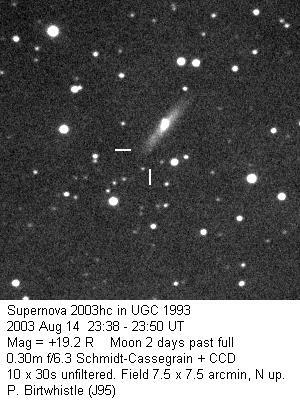 Discovered by Tom Boles on images taken 2003 Aug 7.1 and 10.1. See further images on The Astronomer site here. The magnitude on the image above was reduced using the UCAC 2 catalogue.